Michelle Weinberg is currently showing an intimate selection of diaristic drawings in black and white graphite, as well as papier-mâché ensembles. The works create a geometric and metaphorical environment that prompts the viewer to question the experience of perception, space, and volume. The accumulated objects seem to be in dialogue with one another and forming connections with their surroundings. 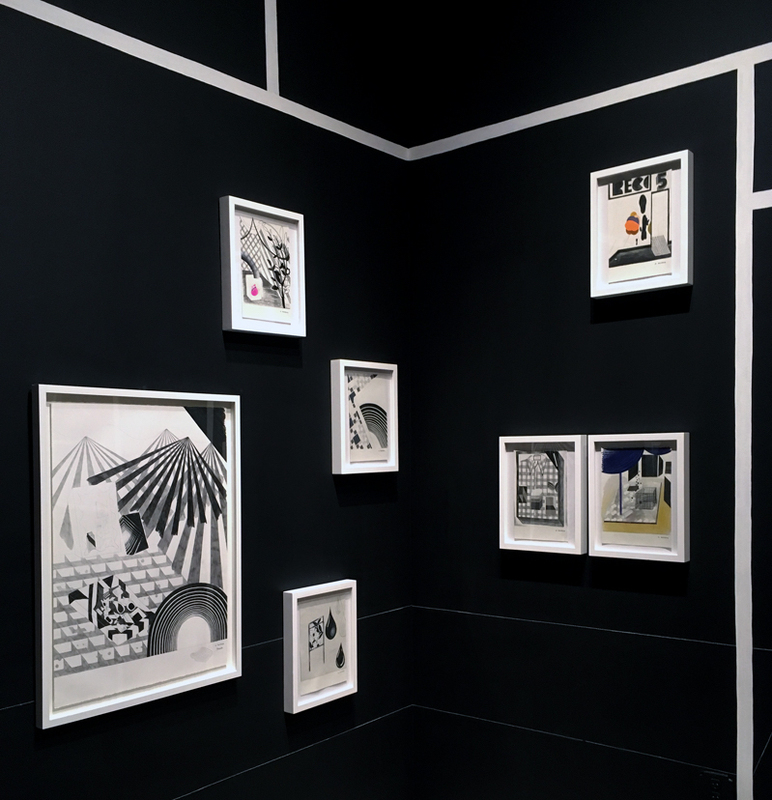 Weinberg has created an immersive, black, theatrically staged spatial intervention in Dot Fiftyone Gallery, with thick and thin white lines that emulate the pictorial planes in her drawings. This creates frames within frames, a perception game for the viewer. The images themselves are filled with teased perspectives that derive from real spaces and generate fictional ones. Assemblages such as Dazzle Gift Box (2018) are crammed arrangements. The installation is both architectural and decorative, reflecting the horror vacui of daily life while investigating the nature of representation. © 2017-19 Delicious Line Inc.